This is a multi-author book on regression therapy written by six physicians from the fields of psychiatry, neurology, rehabilitation medicine, internal medicine, pediatrics and surgery. The book is based on the healing stories of eleven patients suffering from a variety of conditions, ranging from emotional symptoms arising out of relationship issues to medical illnesses that refractory asthma, fibromyalgia, systemic lupus erythematosus and infertility. The chapters show how some of these patient problems that had been unresponsive to traditional medical approaches were resolved using regression therapy techniques. In many of these cases, regression stories that appear to be past lives emerge, and these helped to provide healing insights to the patients to help them unleash their inner healing potential. In April 2013, fourteen physicians and five psychologists from six countries met in Porto, Portugal, to form the Society for Medical Advance and Research with Regression Therapy (SMAR-RT). The group’s aims was to discuss ways of conducting research in regression therapy and promoting awareness of this underutilized form of psychotherapy to the wider medical community. Arising out of the meeting, a decision was also made to put in writing some of the members’ personal experience in story form for sharing with a wider readership. This book is the outcome of the collective effort of this international group. 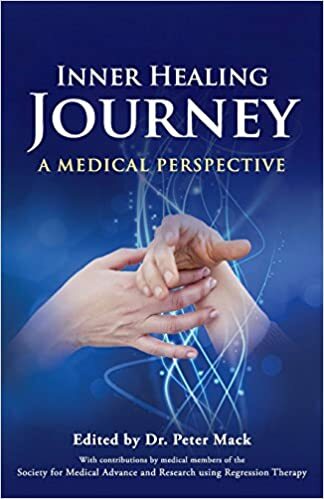 The members share a common belief that all patients have an intrinsic core of self-healing capability, which when appropriately unleashed and harnessed can initiate a process of rapid healing; hence the title “Inner Healing Journey” was adopted for this book. Part One of the book describes the therapy process of a middle-aged lady who has struggled through the emotional turmoil of her marriage crisis. The two chapters represent the two phases of her inner healing journey. Part Two is on “Love and Relationships” and has three stories with backgrounds from three different countries. In Chapter 3, Dr. Soumya Rao from Indian shares her understanding of how inner child healing can be incorporated into regression therapy. In Chapter 4, Dr. Karin Maier-Henle from Germany highlights the importance of self-love and how the lack of it generates emotional handicaps in living. In Chapter 5 Dr. Sérgio Werner Baumel from Brazil shares his trials and tribulations in treating a patient with an impaired ability to express love. The last four chapters in Part three deal with the use of regression therapy with medical conditions. In Chapter 6 and 7, Dr. Moacir Oliveira illustrates how body psychotherapy, psychodrama and past life therapy can be integrated to treat refractory asthma and fibromyalgia. In Chapter 8, Dr. Natwar Sharma relates his experience in the use of metaphoric narratives for healing in autoimmune disorders. Dr. Sérgio ends the book in Chapter 9 with two unique examples of how he attempts to use regression as a means to enhance fertility.